WASHINGTON (Sputnik) - The Trump administration's decision to temporarily suspend its adherence to the Intermediate-Range Nuclear Forces (INF) Treaty threatens to trigger an arms race between the United States and Russia, Ranking Member of the US House Foreign Affairs Committee Eliot Engel said in a press release on Tuesday. "Our immediate task should be to work with our European allies to bring [Russia] back into compliance, not to unilaterally withdraw from the Treaty," Engel said in the release. "We must act responsibly and do everything we can to minimize the risk of rekindling an arms race." Earlier on Tuesday, US Secretary Mike Pompeo announced that the United States would suspend its adherence to the INF Treaty within 60 days unless Russia returns to full compliance of the agreement. 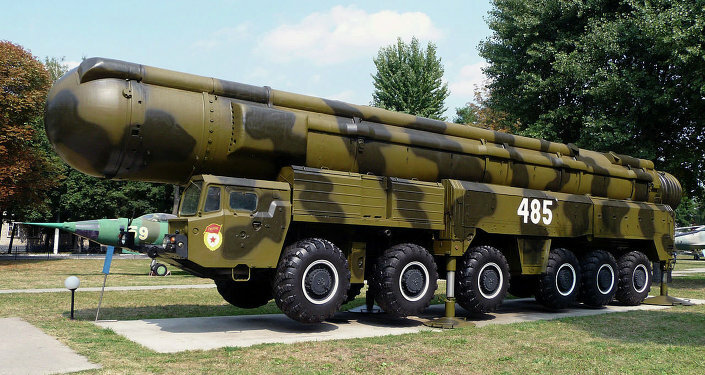 Moscow has repeatedly said it is not violating the INF treaty. Engel said Russia's alleged failure to adhere to the INF Treaty undermines Trans-Atlantic security and constrains regional progress toward stability. Ranking Member of the House Armed Services Committee Adam Smith said the Trump administration's decision shows that it is more focused on withdrawing from its international commitments than it is on the collective security of the United States, its allies and partners. The Trump administration must avoid a new arms race by working with allies to hold Russia accountable for its treaty violations and push Moscow back into compliance, Smith added. The INF Treaty, signed by the United States and Soviet Union in 1987, bans ballistic and cruise missiles with ranges of 300 miles to 3,400 miles. The treaty has an unlimited duration and each side can terminate it by providing compelling evidence to substantiate the decision. In October, US President Donald Trump said that Washington intended to leave the INF Treaty, accusing Russia of violating it numerous times, while the Kremlin rejected the accusations, noting that Russia would be forced to take measures to ensure its security if the treaty was terminated by the United States.